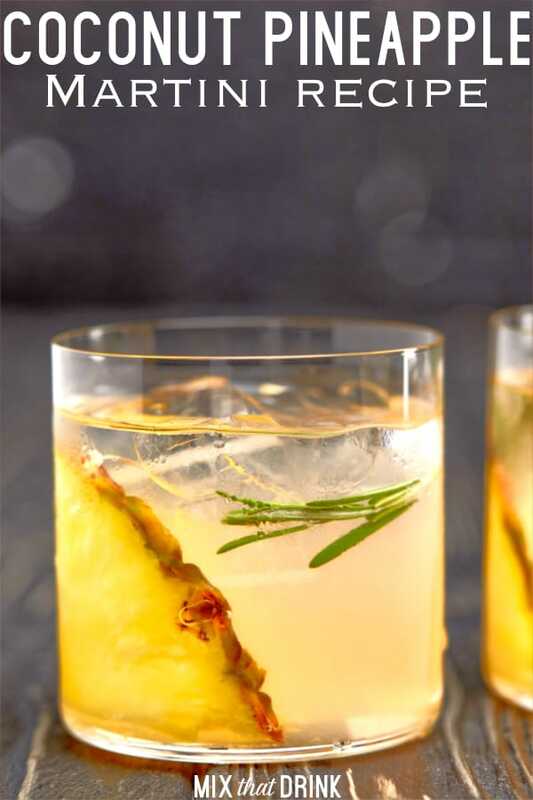 The Coconut Pineapple Martini is a light, refreshing drink with all the flavors of a heavier Pina Colada. When you’re in the mood for something tropical but sharp and vibrant, this is the drink you want. 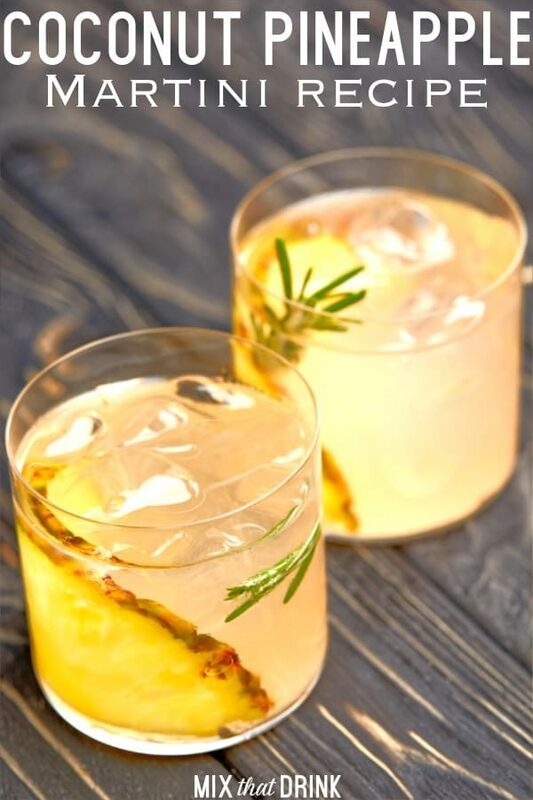 Coconut and pineapple make such a winning combination, which is why they so often show up together in cocktail recipes. 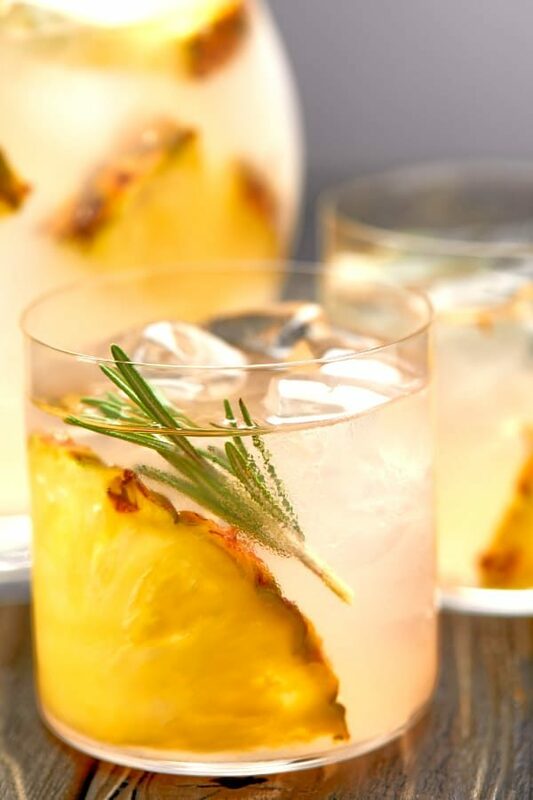 You get the light sweetness of the coconut and the tartness of the pineapple juice, and together they form deliciousness. There are a number of variations on this drink, and they’re all tasty. The two recipes below are my own variations, which I enjoy. You can make a lot of little changes to these recipes to suit yourself, too. Or you can pick whichever recipe you prefer and stick to it exactly. This is a drink that’s hard to get wrong. The main difference between these two recipe variations is that one calls for amaretto where the other uses grenadine and lime. So the first recipe has a richer flavor with hints of cherry while the second has a lighter, brighter taste with hints of berry and citrus. You may prefer one version to the other. Or you may find you like both, and it just depends what you’re in the mood for. For the coconut rum in this drink, I use Malibu coconut rum. While other brands are certainly good, it has a flavor that’s strong without being overwhelming. With the first recipe, I suggest using Disaronno amaretto. It has a brighter, fresher taste than a lot of other brands, and it really enhances the flavor. If you’re using the second recipe, I suggest using fresh-squeezed lime juice rather than bottled. And while it only calls for a splash of grenadine, I think it makes a difference to use a hand-crafted grenadine rather than what you usually find in the grocery store. 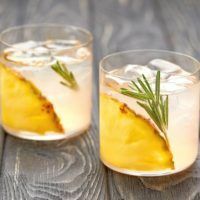 The Coconut Pineapple Martini is a light, refreshing drink with all the flavors of a heavier Pina Colada. When you're in the mood for something tropical but sharp and vibrant, this is the drink you want. Pour all the ingredients into a cocktail shaker filled with ice. 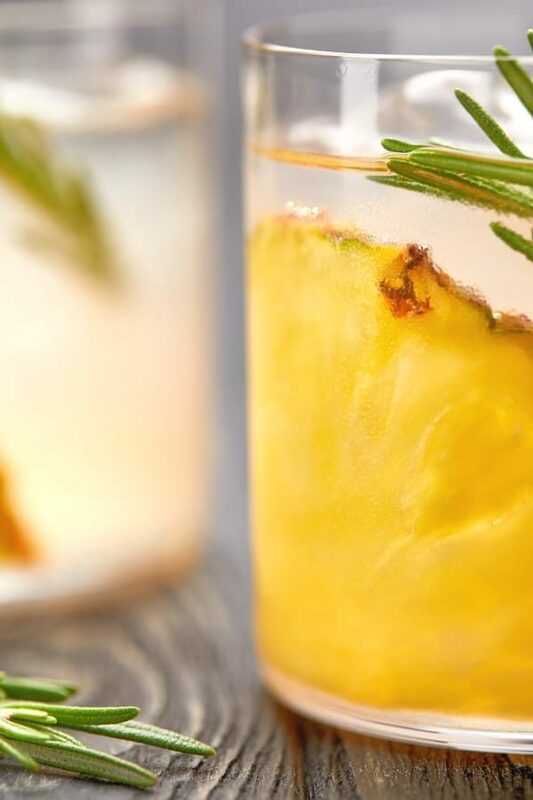 Garnish with a wedge of pineapple soaked in rum.